Ray Raposa of Castanets had almost finished his follow-up to First Light’s Freeze (2005) when three men in strange masks mugged him at gunpoint in front of his home in Bedstuy, Brooklyn. Stealing Raposa’s rent money, iPod and security, the three thieves climaxed a year of depression and nomadic, nocturnal dislocation. Not long after the mugging, Raposa completed In The Vines. Appropriately, the album he was struggling to complete is based on a Hindu fable about being trapped in an inescapable fate, with death and the limitations of our physical lives closing in from all corners. The story is half of the inspiration for In The Vines. The other half is the wandering that’s typified most of Raposa’s life. From years on the road faking Greyhound passes, to moving to the Virgin Islands as a parentless teenaged professional surfer, to keeping tabs on expatriate journalist parents (father residing in Saudi Arabia and mother in Mexico), Raposa’s life has been one of back seats and rest stops. In the fable story, “The Well of Life”, a giant net stretched out by a giant woman surrounds a Brahman lost in the forest. The frantic Brahman runs in circles attempting to escape until he falls halfway down a pit and is entangled in vines. He discovers some bee hives halfway between the flesh-hungry six-faced elephant at the top of the pit and the waiting serpent at the bottom. As bees buzz around the Brahman and rats gnaw at the vines holding him up, all he can do is gorge on the sweet honey. Heavy stuff, yes, but it isn’t all peril, and darkness. The songs are sung with such intimacy and earnestness that In The Vines “sways” somewhere between the serpent, elephant, bees and rats, the honey representing a strange sense of hope and delight in the brief moments of beauty that sustain our lives. 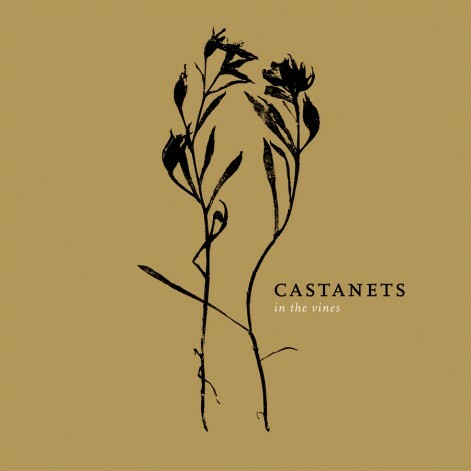 There is community within the music of Castanets, one that keeps Raposa safe and sane while dangling in the pit. In this instance we have near-shipwreck-mate Jana Hunter, Nonhorse (Vanishing Voice), Rafter Roberts, Nathan Delffs (Shaky Hands), Viking Moses, and Matthew Houck (Phosphorescent). 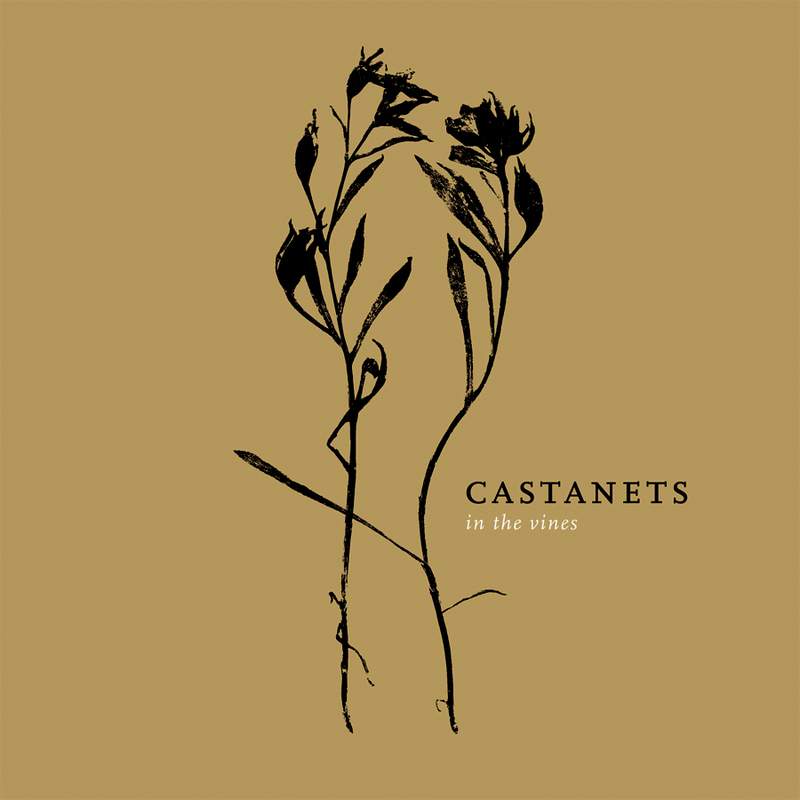 Recently the live Castanets’ community has included such folks as good friend and labelmate Sufjan Stevens, Nick Delffs (Shaky Hands), Rob Lowe (Lichens) and Annie Clark (St. Vincent). This ever shifting cast makes it is necessary to drop preconceived notions about “bands” and “singer-songwriters” when approaching the Castanets. Castanets is always a “we,” no matter if Raposa plays alone or with dozens. This collaborative effort spawns a paradoxical sound indebted to both AM Gold and the idiosyncratic fringes of music theory. He mines both to reveal treasures. The template may be country music, but the collective energy conjures up elements of noise, free jazz, black metal and electronic abstractions. “Following up a Kitty Wells cassette in the van with a Brotzmann disc or a Lichens disc or Hot 97” says Raposa. The album is a snapshot of an extended period of intense work, devoid of live audience but blessed by the detritus of players, city, country, ghost audiences, and improvisations of water, smoke and night. Raposa is the curator of his own art, seeking out potential collaborations to infuse the situation with multiple colors, subdue his ego-rule, and unearth the song’s own personality. Raposa plays music with folks as an extension of enjoying and eating the honey.